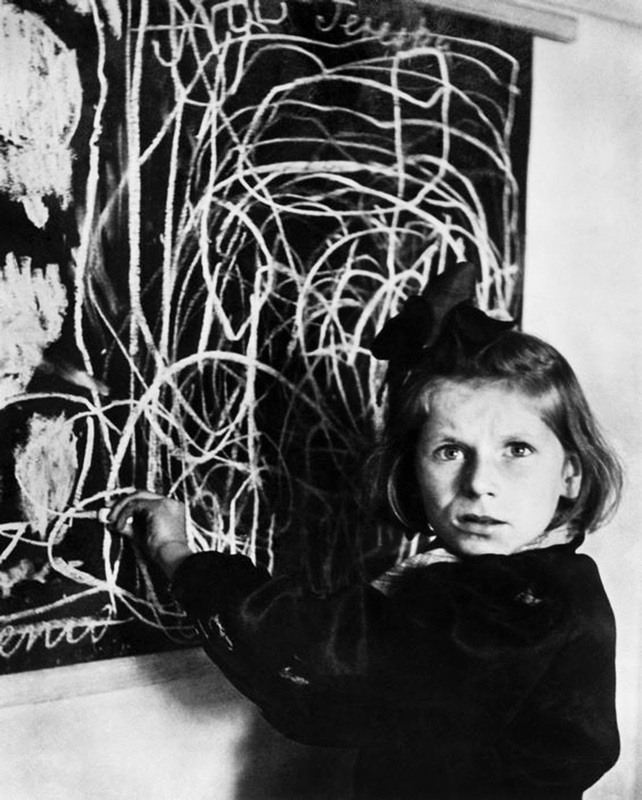 Tereska [Teresa] a girl living in a Warsaw school for mentally disturbed children having surviving the war in a concentration camp. 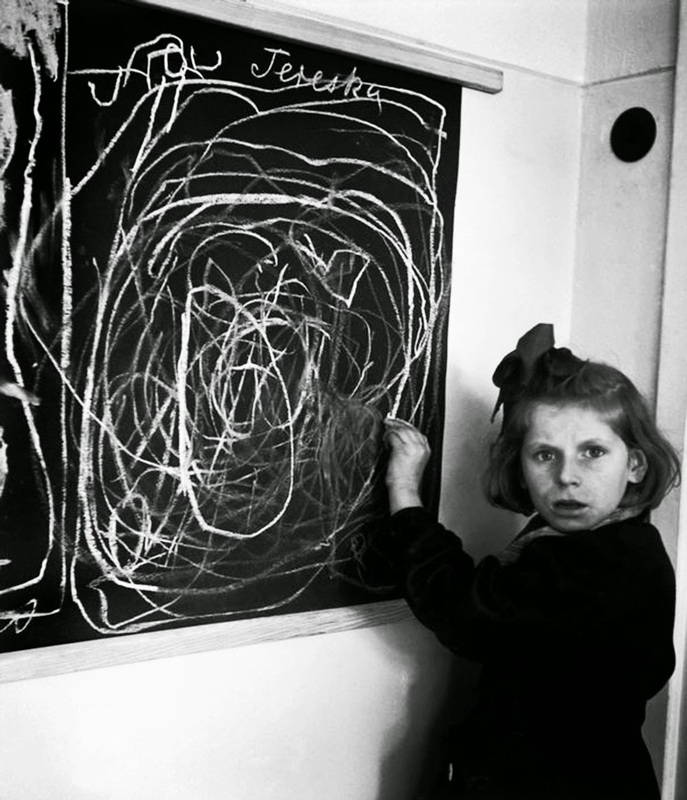 Taken by David (Chim) Seymour of Magnum fame in 1948 as part of a UNESCO assignment which became his his book “Children of Europe” published by UNICEF in 1949. Carole Naggar narrates: another version or part of the same film [7:38]. Both better viewed full-size. Can’t find any longer versions. Where there are a selection of photos, “Auschwitz Liberated 70 years Ago”, by Magnum photographers. Chim picked up his camera the way a doctor takes his stethoscope out of his bag, applying his diagnosis to the condition of the heart. His own was vulnerable.